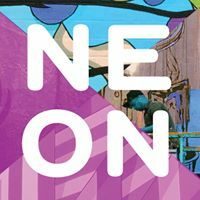 The *fourth* NEON Festival is coming back to NFK Thursday, October 18 and Friday, October 19, 2018! This free festival welcomes everyone to experience the NEON District through art exhibitions, local and national performances and mural tours. * Pop up art galleriesThe *fourth* NEON Festival is coming back to NFK Thursday, October 18 and Friday, October 19, 2018! This free festival welcomes everyone to experience the NEON District through art exhibitions, local and national performances and mural tours.